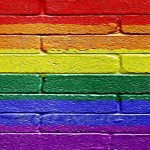 Thursday, 25 April 2019, 5:00 – 7:00 pm: Grampian Pride Launch Event, The Green (below Union Street, AB11 6NY)- FREE! – live entertainment, candyfloss & wristband exchange. Friday, 24 May 2019, 9:00 pm – 1:00 am: Pre-Pride Party with the fabulous Boy George Experience, Carmelite Hotel – tickets from £5-25, VIP package available. ALL ticket sales go to Grampian Pride. Parade down Union Street – FREE to take part! Please arrive in Albyn Place between 9:30-10:00 am to form up. Want to create a float? Visit our floats page for more info. Family Fringe – FREE! 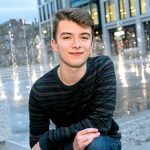 – Great entertainment at a range of venues in Aberdeen City Centre, including Aberdeen Arts Centre, Blackfriar’s, Brewdog, Carmelite Hotel, Siberia and the Wig. Visit our entertainment page for more info. Pride Village, Queens Links – FREE! – Tickets required, please book your tickets here. Fantastic entertainment for the whole family, plus charity stalls, health checks and more. Visit our entertainment page for more info. Party in the City – DJs, performances and other entertainment at a range of venues including Blackfriar’s, Carmelite Hotel, Codona’s, G Casino, Siberia and the Wig. Codona’s £6 (£1 to Grampian Pride), all others free. Visit our entertainment page for more info. OFFICIAL Grampian Pride After-Party, Unit 51 – £6-8 in advance, £10 on the door, ALL ticket sales go to Grampian Pride. Get your tickets here. Please note: all information above is provisional, some details may change in the run-up to the event.